Slideshow: What's in a name? 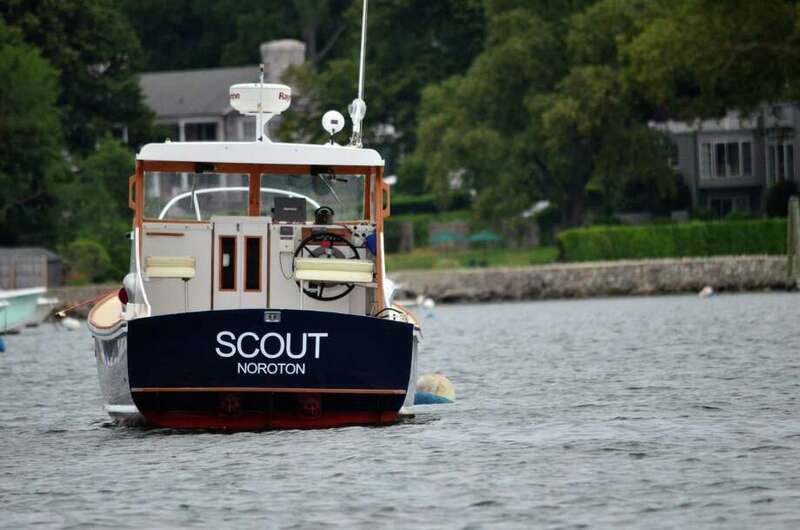 Darien Boat Club and Noroton Yacht Club members make their boats unique with a variety of names, like Scout. It is clear after a drive around the mouth of the Goodwives River that the boaters of Darien know how to name their vessels. There's Artemis, the massive red sailboat, and the Queen Mary II. A little farther up the river and onto the docks of the Darien Boat Club, more unique -- some humorous -- names can be seen, like On the Roc's, Knot Big Enuf and The Office. It's easy to imagine how the conversation regarding the last name goes. "Honey, where are you headed to today?" "I'm going to go spend some time at The Office." Click through the photos to see a glimpse of the boat names in Darien.